Laurel is a Master's student under Dr. Scott Hamilton in the Ichthyology Lab. She graduated from UC Santa Barbara with a B.S. 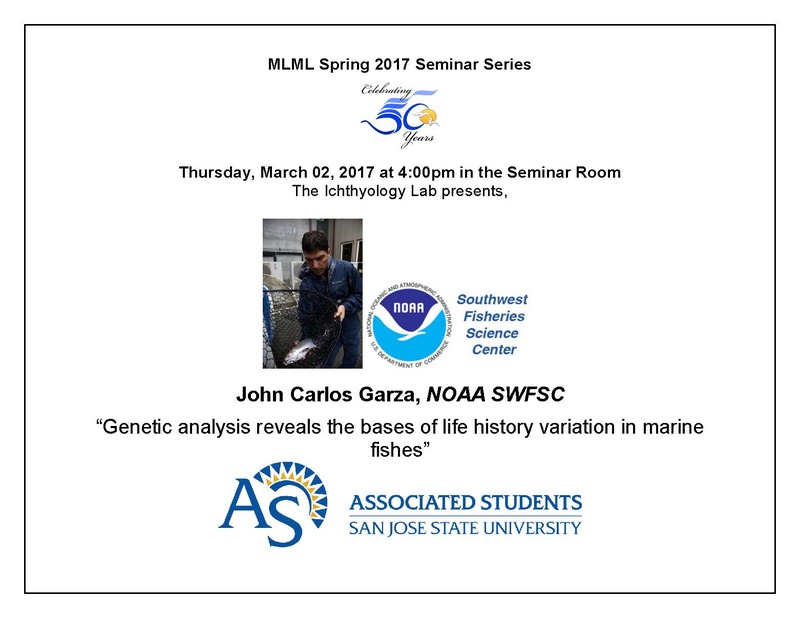 in Aquatic Biology and spent several years working for the CA Department of Fish and Wildlife and the Aquarium of the Bay in San Francisco before starting her master's at MLML. 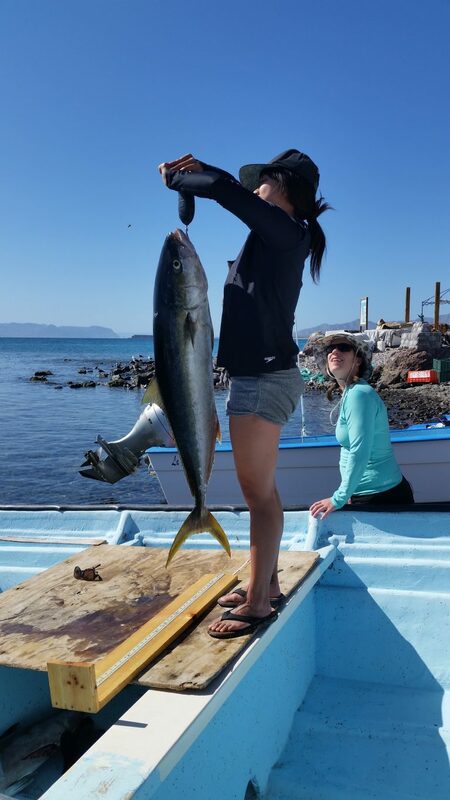 Laurel came into the master's program with an interest in fish population biology and working with local fishing communities, so studying Lingcod life-history along the U.S West Coast seemed like the perfect thesis project for her. 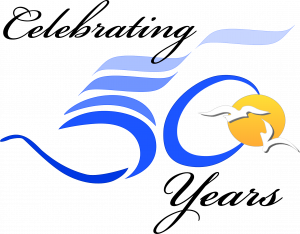 Throughout her master's career, Laurel has worked closely with state and federal fisheries agencies and has volunteered on several annual research cruises conducted by the NOAA Northwest Fisheries Science Center. In addition, she assisted with conducting entrainment and impingement surveys at the Moss Landing Power Plant with Tenera Environmental and currently works with the Marine Pollution Studies Lab as part of the Bioaccumulation Oversight Group, which investigates harmful levels of organic and man-made contaminates in recreationally caught sportfish in California. Fish populations are known to exhibit spatial variability in life history demography due to factors such as temperature, productivity, habitat, and fishing pressure. However, most stock assessment methods neglect to account for these differences and assume that life history traits are constant and unchanging across space and time. As a result, stocks are managed across broad geographic areas with catch quotas, size limits and other regulations applying equally in all places, running the risk of over- or under-harvesting on a regional scale. In this study, Lingcod (Ophiodon elongatus) were collected throughout their U.S. range from 7 geographically distinct areas (Alaska to Southern California) and two habitat types (high-relief versus low-relief) in collaboration with volunteer anglers, recreational party boats, and the federal West Coast Groundfish Bottom Trawl Survey. I evaluated and compared regional and habitat-based differences in Lingcod size and age structure, growth parameters, timing at 50% maturity, total mortality rates and condition indices. 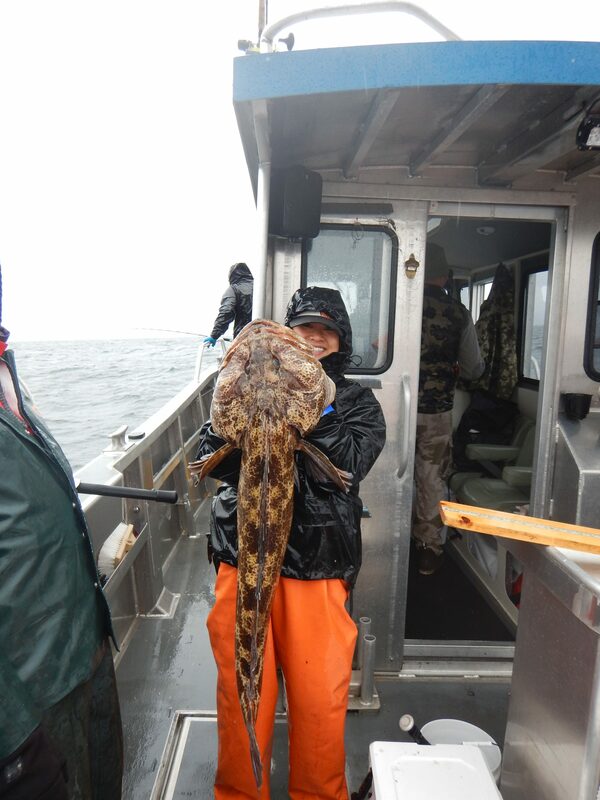 Size structure, growth, and maturity rates were found to exhibit a latitudinal cline, where Lingcod in northern waters grew faster and larger, matured at larger sizes than Lingcod in southern waters. There was no latitudinal trend in total mortality, however, Lingcod from Southern California and Washington had the highest total mortality rates compared to all other regions. Between habitats, Lingcod from rocky high-relief habitats grew faster and larger, matured at smaller sizes, and had higher total mortality than fish from trawlable, low-relief habitats. 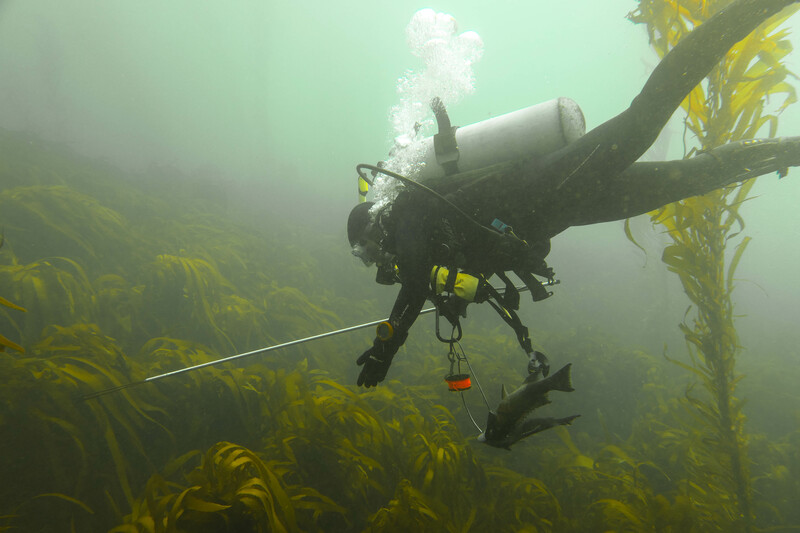 Condition differences were not significant between habitats and did not follow a latitudinal trend, however Lingcod in the Southern California region were in the best condition. 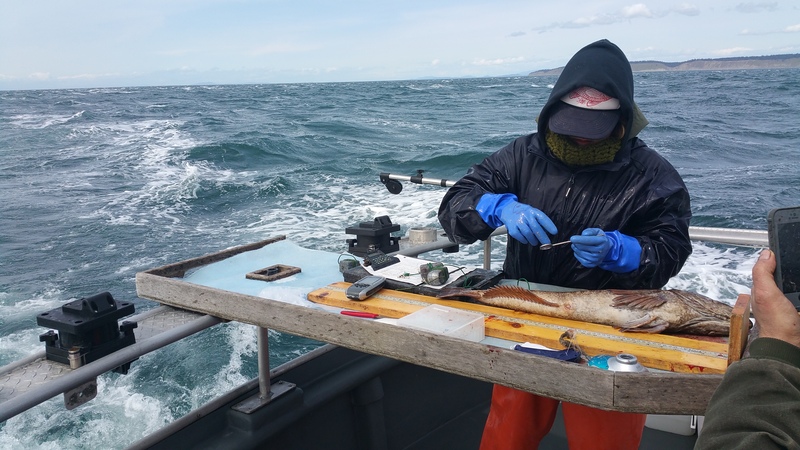 Overall, these findings demonstrate significant latitudinal and habitat-based variability in life history and demography of the West Coast Lingcod stock. 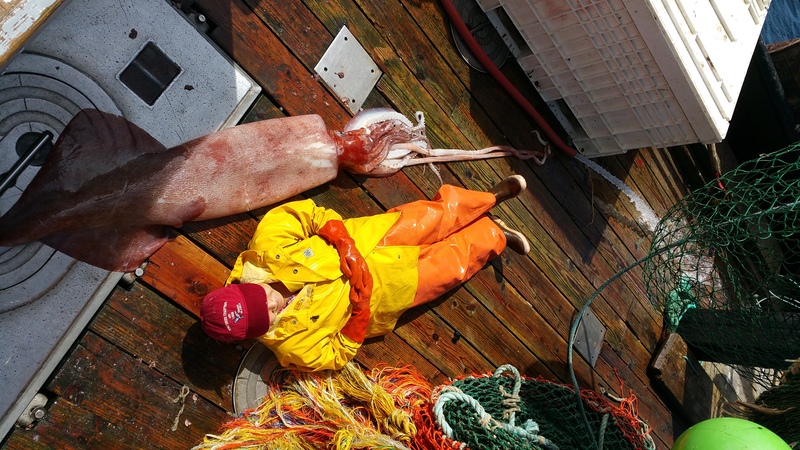 Differences in growth, maturity, and condition appear to be strongly linked to coastwide patterns seen in sea surface temperature and productivity, while differences in total mortality and demography seem to be influenced by historic and current fishing pressure.